As summer winds down, most parents and kids are gearing up for the first day of school. A backpack, supplies, and new clothes are probably on the list. 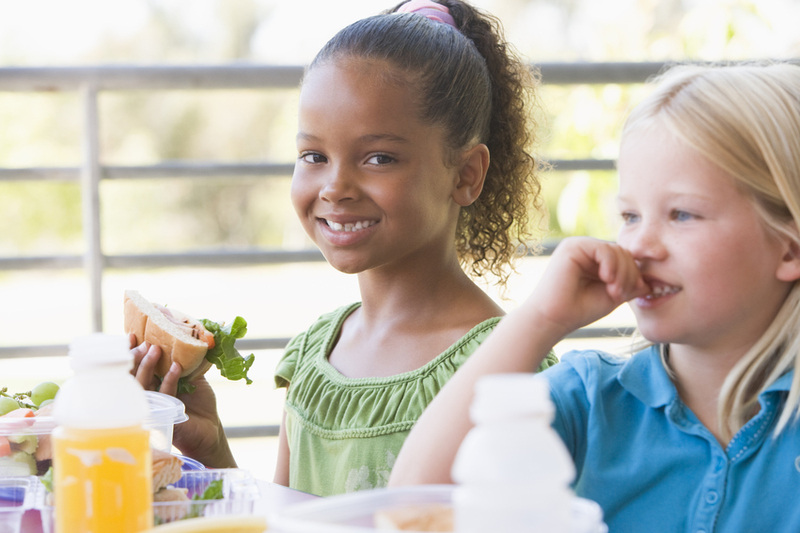 But perhaps most important is knowing how to pack jaw-friendly foods for kids with TMD. After all, the pain and inflammation of TMD is no fun for kids and can certainly stand in the way of their education – not to mention their enjoyment of school. If your child has TMD or excessive grinding of his or her teeth, we hope they’re already seeing one of our doctors at MedCenter TMJ. Yes, kids can have TMD too! And beyond great medical care, you’ll want to ensure their lunches don’t aggravate their condition. Here’s how to prepare. Lunch tip #1: Buy containers meant to keep fresh foods cold. Fresh, healthy foods are important for all kids, and especially for kids with health conditions like TMD. Many processed foods provide little to no nutrients, and chips, crackers, and similar snacks are hard on the jaw. Pick up some containers that include built in ice packs or insulation. Gone are the days of throwing a sandwich in a brown paper bag. Reusable containers that stay cold for hours are the way to go so your child can have variety and nutritious foods that won’t aggravate TMD. Lunch tip #2: Stock up on soft foods. Plenty of whole grain breads for sandwiches are soft, so you can avoid chewy, seedy breads that are difficult to chew. You don’t need to choose the processed white stuff with almost no nutritional value. Avoid raw vegetables that are too crunchy like carrots, and instead opt to put these in a smoothie (or serve them cooked with dinner). Bananas, homemade applesauce, and berries are other jaw-friendly ways to add healthy produce. Lunch tip #3: Get creative. You can throw almost any fruit or veggie into a smoothie and get a tasty result if you include naturally sweet foods like berries and bananas too. Try different recipes that include things like healthy fats from avocados or ground flax seeds and protein from Greek yogurt or nut butters. This will help your child stay fuller, longer so they can focus on school while avoiding any TMD symptoms. Does your child have jaw pain or stiffness, frequent headaches or earaches, or other TMD symptoms? Don’t let them suffer in silence. Children and teens can get TMD, and they will benefit from a comprehensive TMD treatment plan that’s right for them. Contact MedCenter TMJ today!